Ian Kerridge is an internationally recognized scholar in bioethics and the philosophy of medicine. He is Professor of Bioethics and Medicine at Sydney Health Ethics at the University of Sydney and Staff Haematologist/BMT Physician at Royal North Shore Hospital, Sydney. He is also Chair of the Royal Australasian College of Physicians Ethics Committee, Chair of the South Eastern Sydney LHD Clinical Ethics Committee, Board Member of the NSW Stem Cell Network and a member of the NSW Clinical Ethics Advisory Group. 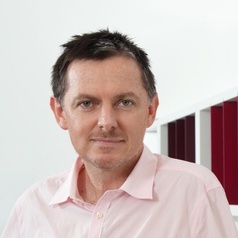 He is also a Director of Praxis Australia - an Australian NFP devoted to promoting education and ethics in research. He is the author of 5 textbooks of bioethics and philosophy (most recently, Ethics and Law for the Health Professions, Third Edition (Federation Press; 2012)), 23 book chapters on ethics, research ethics and infectious diseases and over 350 papers in peer-reviewed journals on ethics, medical philosophy and haematology. His current research focuses on ethical, philosophical and legal issues in public health, research and biomedicine including in synthetic biology, cancer care, obesity, stem cell research, drug regulation and pharmaceutical prescribing, organ donation and transplantation, and cord blood donation.